Some may think I am concentrating on the second house because of the financial downturn we are experiencing, but it is one of the reasons and not the only one. I feel that the ascendant expresses what we want others to see us, as individuals, but that the second house expresses who we really are. For what we process in the material world is the reason why we surround ourselves with these things. Our need with Pluto in the second should not be to impress others with our worldly riches, but to surround ourselves with the things we love, to reinforce who we really are. Pluto in the Solar Return second house denotes dramatic changes in one’s finances, whether favorable or unfavorable according to the aspects to the sixth and tenth houses. The important message of Pluto in the second is not whether we gain or lose, but rather, will we make the necessary dramatic changes in our lives for a better future. Pluto’s keywords is rebirth, regeneration and starting over. Although I think these keywords epitomizes what Pluto is about, I also think we have missed the true meaning of this planet in the second house. In The Revised English Bible in Matthew chapter 18:3 “Truly I tell you: unless you turn around and become like children, you will never enter the Kingdom of Heaven.” You don’t need to be a Christian or spiritual to realize the truth to the statement which can be applied to anything we wish to obtain. Unless we get rid of all the useless fears, distrust and insecurities we have, we will never see anything in its true light. We came into this world with an innocent and joyful soul and we add to our yoke all the hang ups of our fore fathers and our misunderstandings of how we perceive life’s situations. We need to see our life as we would have done as little children with all the wonderment and amazement that goes with a positive view of accomplishment and with a joyful and grateful heart. With Pluto in this house we are not to be reborn as a new person, but to rediscover the true spiritual soul and our purpose in the first place. Rediscovering ourselves without the doubts, fears and mistrust we gain along the way. Some with Pluto in the Solar Return second house will need to decide whether material security is what one is seeking or is it satisfaction of doing what one really wants to do in life. Some will find both is important and will need to discover what will accomplish that for them. Pluto wants you to clear up all the clutter, so that one can see clearer the path one needs to take. Some will take charge of their own lives and begin the makeover, where as others will allow outer circumstances to make the first move. As more people are loosing their jobs, the first move was made by the Universe; the next move will depend on each individual. Pluto will not allow you to sit on the fence, and the need to get off and choose a side will come up sooner then one thinks. One needs solitude to discover what we really want in our lives, and not to choose paths just to make others happy. The problem of discovering our true needs, is that we have clutter in our lives with so many wants and wishes, that our true feelings are under piles of clutter, so hidden away, we don’t know they exist. And true solitude is hard to find in this world with the technical innovations that are happening in our lives. There is always something to clutter our mind with, so that we get side tracked from seeing what really is important to us. In closing, with Pluto in the second House, we need to rediscover the child in ourselves that we have lost and allow it to be reborn along with the innocence we once had to guide us to a better and happier future. On November 2nd 2009, a full moon at 11 degrees of Taurus beams its moonlight on the earth to brighten our path in the darkness of night. The brightness of the full moon is a metaphor to our wishes and desires we planted in the New Moon period, and is growing clearer and brighter each day without any hidden agendas until it becomes full. The materialization of our wishes and hopes which reflects us and our needs is similar to the full moon which reflects the energy and thoughts of the Sun. With the full moon in Taurus the need to have or possess, to receive, to preserve, and to enjoy is essential in our daily lives. With Jupiter and Mars squaring the Full Moon, the need to share, to expand, to care and to work towards a certain end which is familiar and lasting without becoming a dull and routine habit is a necessity. Jupiter teaches us that we need to share our good fortune and Mars pushes our thoughts of giving and service into action, rather than empty words that do nothing. Saturn still in opposition to Uranus and squaring Pluto is continuing to push for change, rebirth, regeneration, and the need to see things, both new and old, in a new light. “The Sabian symbol for the Moon in 11 degrees of Taurus and for the Sun in 11 degrees of Scorpio is taken from “The Sabian Symbols in Astrology by Marc Edmund Jones”, and what follows are my comments. Taurus 11 A woman sprinkling flowers This is a symbol of the soul’s determination to give constant and tangible manifestation of its creative powers, and of its eagerness to pour itself into every potentiality of living. There is here an easy and rewarding partnership between man and nature, so that a natural profusion tends to match his inner generosity of spirit. He feels responsible for the welfare of his world, and its rewards for his interest are very great. The keyword is care. When positive, the degree is the high stewardship by which man builds everything around him into an enduring organism for his own fulfillment, and when negative, superficial satisfactions and a wasteful truckling to petty concerns. Scorpio 11 A drowning man rescued This is a symbol of the soul’s personal immortality, and of its unabated eagerness in returning to the various phases of its experience again and again. There is here a consistent partnership between man and nature, so that the very accidents of circumstance can be counted on to serve him as long as he maintains his underlying enthusiasm of being. His consciousness has continuity through his sense of responsibility for his own creative powers. The keyword is safety. When positive, the degree is the inherent courage which constitutes a protection from the vicissitudes of life, and when negative, a tendency to hysteria on the least occasion and a lean on transient excitement for all self-realization. What this teaches us, is that no one person is an island unto himself without the help of others, and that the keyword for Taurus in the second house in the twenty first century is no longer I Have, but We Have and Share. The urgency for humanity is to realize that we are now a global community and the need to watch out and to care for one another, is one of the many important lessons we need to practice if we are to survive the coming ages. With Venus ruler of Taurus, we have not only the ability to appreciate and possess beautiful things and ideas, but we have the ability to have compassion for everyone and everything and every thought. With the Full Moon in Taurus we are taking another step forward in learning to care. The three most asked questions an astrologer receives, deals with money, love, and career. Money is asked more as an evaluation of accomplishments and self worth, unless the individual is going through financial difficulties. Even during a financial downturn, having the ability to use your money wisely and keeping it, is a tell tail sign to others of your accomplishments. The old saying “Money Talks” is evident with Mercury in the Second Solar Return house which is associated with financial planning and monetary decisions for the coming year. Mercury is the messenger, the communicator and the observer and having the ability to grasp any situation and to adapt and hopefully to work towards a successful finish. Mercury is a neutral planet who tends to take on the characteristics of planets it aspects, and we need to consider the aspects of the natal and the solar return Mercury to the other planets to arrive at a complete picture for the year as far as the money house is concerned. 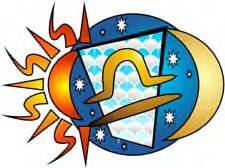 Mercury in the second house of the Solar Return does not promise one will make or have money, but is interested in eliminating wasteful expenditures with money saving ideas. Mercury in this position is in a situation that is more dangerous and malefic than Saturn, because we know where Saturn stands, but Mercury appears to be sitting on the fence deciding which side has the greener pasture. Mercury can cloud the situation and bring underlying currents which might undermine your financial plans for the year. Mercury does not plan ahead, it works one day at a time, and improvises as it goes along. Unfortunately with Mercury in the second your feelings can be hurt, if your efforts are seemingly, not appreciated. This can harbor resentments which can overturn everything you have been working towards. You may be misreading the situation or others misreading your intentions, can make Mercury in this house a Joker in a deck of cards. Mercury wants the world to know how well you are doing and wants the world to appreciate how far you have gotten. Needing the applause is Mercury’s downfall and needing to be appreciated will hamper the ability to make correct decisions. With Mercury in the second, it is like having Mercury Retrograde, one has to be careful and cautious and all will end well. It is like the fool Card in the tarot deck where you think the person is about to fall off the cliff, but he is well aware of where he is going. The person is embracing the adventure of life with an open mind open to new suggestions and ideas and is aware of everything around him. His adage is “Look before you leap”. 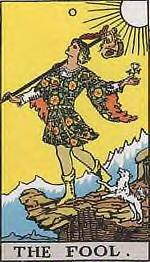 As long as you know of the pitfalls Mercury will have as it journeys through the second house, you like the fool will avoid falling off the cliff and finally arrive at your goals. Recently I receive a comment on one of my articles about whether I felt astrology could predict when, where and how one would meet one’s soul mate. Thinking I wasn’t experience or had any expertise in this area, it aroused my curiosity and I decided to do some research on the subject and to my surprise, my definition of the word differs from what was being offered by the majority of the astrological community. Because of my spiritual background I was mistaking soul mates with the meaning of twin flames, where one soul was one and split. Like the yin and yang which is two, but yet one. The general astrological consensus was similar to the definition of The American Heritage dictionary for soul mate: “One of two persons compatible with each other in disposition, point of view, or sensitivity.” To me this could mean many soul mates that resonate with one another. I am sure that most people who ask this question of an astrologer is wishing to know when and where and if they will meet their life companion and not just people that they would be attuned with. Jupiter the planet of expansion, growth, good fortune, prosperity, openness, dignity, wisdom, beliefs, morals, grace, optimism, generosity, and the ability to share and give. The planet Saturn represents structure, form, law and order, conscience, limitation, and the ability to steadfastness to the goals one sets in life. All four planets must be in good aspects, but I feel Jupiter and Saturn are the key planets to our acceptability and the ability to maintain and keep the relationship alive and healthy. Just because a relationship is destined for us, the need to maintain it is essential. Astrology only indicates, but we as individuals make it happen. Jupiter gives us the ability to share and to receive, and Saturn gives it form and structure and permanence. They are definitely the odd couple as one gives the other takes, the one feels the other thinks. But without them Venus and Mercury don’t have a chance to keep the soul mates together. Venus can teach love and Mercury can show us how to communicate it, but Jupiter teaches them to share and give and Saturn gives to the mixture, form, structure and stability. In closing let us remember that even though these two planets appear to be the odd couple, they truly complement and support one another to get things accomplished in life. Balance, harmony, justice and partnership characterizes this New Moon at 25 degrees Libra on October 17th at 10:34 p.m. Pacific Daylight Time. I have always found this time of the month as a wonderful period to renew, rethink, and reaffirm the path and the direction we are aiming for in this life. Every new moon, we start with a new glass to fill with our dreams and it is like a mental exercise, the more you do it, the more it will work for you and the more successful you become. I have noticed we usually fail in accomplishing our dreams when our vision of our goals become muddy and are no longer clear to us. By using this period to renew our visions and goals, the final success is closer then we think. In Libra we seek to recognize, tolerate and to work with the opposites and we begin to have compassion with those of opposing views. We become like the archetype of this sign the scale of justice, equality and truth, where we must ponder all sides of the situation and come to a decision which is right for all. With the New Moon about to square the North and South Lunar Nodes in Capricorn and Cancer, and with Saturn about to move in to the sign of Libra squaring Pluto in Capricorn, the need to use careful judgment and not to jump to conclusions to any situation or problem, is very important at this time. The Saturn and Uranus opposition has shown us that we must not trust on so called experts on decisions we want to rely on. We need to be the directors and the movers of our own lives if we are to move on to better things. We have been shown that those we have trusted to lead us, have led us a stray. Instead of pointing the blame or feeling guilty, we need to pick ourselves up and make a determined effort to look at all sides of a situation before making a decision. Pluto is telling us, we can no longer follow blindly, but need to have our confidence and dignity reborn and renewed. With the twenty first century, Pluto is revealing to us that we can not go it alone and that we need to be responsible for our decisions. That being ignorant of the facts does not excuse us from the blame or the effect of our decisions we have made or have allowed to continue. There is a revolution going on in our consciousness to lay back and go with the current of the river, or to make an effort to fight and go up stream where the pot of gold lay hidden. We have been laying back listening to others in advising us for so long that it will take an effort on our part to regain control of our own decision making. The revolt is at hand and Pluto, Saturn and Uranus are standing by to help us or to push us into the mode, whatever choice we make. The Sabian Symbol for Libra at 25 degrees is Information in the symbol of an autumn leaf. The keyword is Tact. ‘When positive, the degree is spontaneous adaptability and an unswerving and instinctive fidelity to ultimate goals and meanings, and when negative, fascination with the trivial and delight in unbridled fancy.” This says it all, that our priorities like the mysteries of life and death, will go through a change and will be reborn to something new in its’ transformation, so be clear and firm of your objectives that they may blossom into your dreams and wishes for the future. For every cause there is an effect, and our first cause, like every cause should be well thought out. During the earlier part of this year as the financial meltdown began to really show its’ ugly head, the company I work for made some drastic changes to keep afloat until the upturn began again. A co-worker I am friendly with had wanted to know what might be happening financially for him in the coming year. I gave him a private reading, which he was quite happy with. As the predictions came true, I decided to post an article on May 22nd 2009 entitled “Saturn in the Second Solar Return House” The following paragraph is an edited version of the delineation of the Chart. To arrive at this delineation I use Morin’s method of house ruler of the second to any planets in the return house and aspects to the natal chart. The person made so many right decisions on his 401k and his investments, that he was able to bring his savings back up to a point where he is quite happy with it, even with his salary being cut. Hearing this I wanted to revisit Saturn in the second house of the Solar return chart, because as far as Morin is concerned, there should be at least two aspects to confirm any prediction of importance. The first is that Saturn in the natal is exalted in Aquarius and in its’ own house, so that the malefic effect of Saturn in the second solar return house is minimized with it being sextile to the Moon in its’ own sign which it is happy with. In the natal chart Venus is in a minor essential dignity on the cusp of the ascendant with Jupiter also at this angle, giving importance to these two planets in the chart. 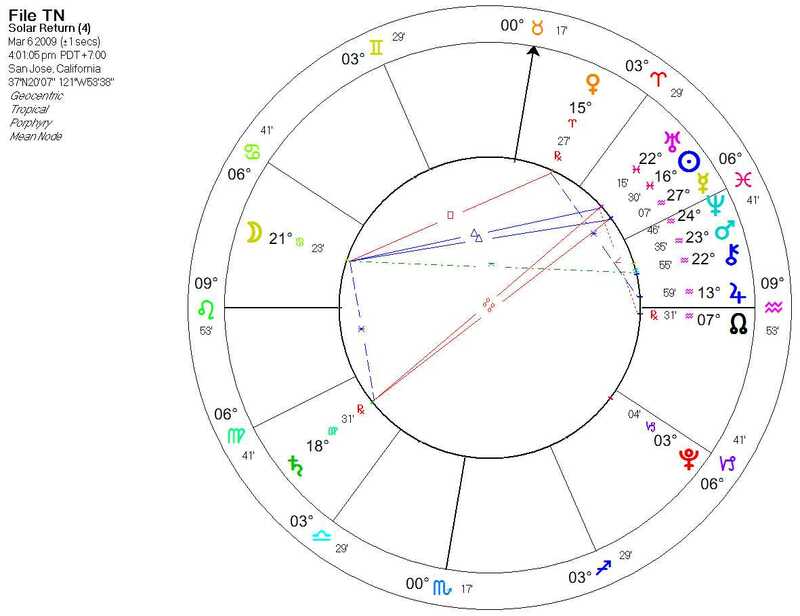 Jupiter on the angle of the solar return seventh house sextile Venus in the ninth, again showing a connection between these two. What better confirmation of his ability to use his innate ability of judgment with his investments to secure his future security. The Sabian Symbol for Venus at 30 degrees of Aries is taken from “The Sabian Symbols in Astrology by Marc Edmund Jones”. My comment will follow the excerpts from the book. I think the Sabian Symbol gives deeper meaning to this interpretation of the chart by giving a purpose for his talent in securing the money and the means for a safe and secure abode for his love ones, and his ability to turn a negative situation into a positive one, which becomes very invigorating for the individual. 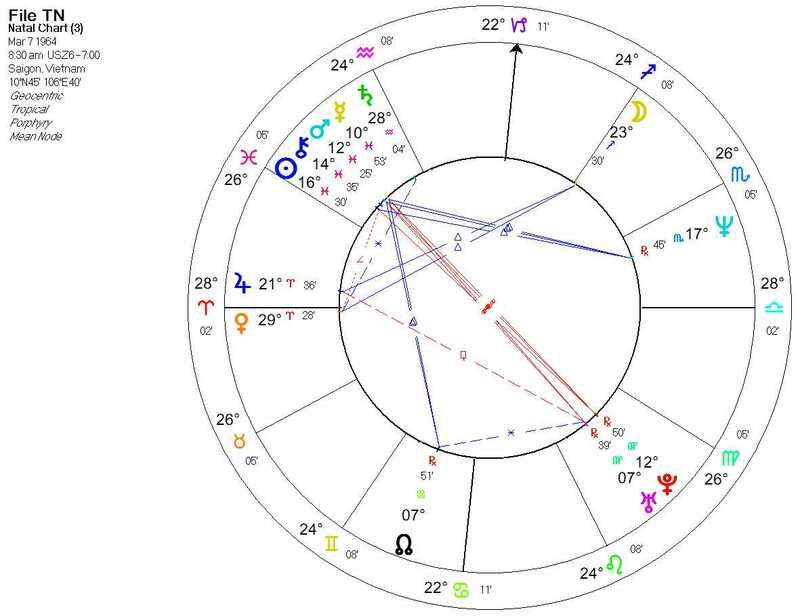 It has almost been six months since I began this blog, and I have begun questioning what natal planets were involved in this project that was so much work, but was much more beneficial to me then it appeared on the surface. When I began this blog I was hoping to express my thoughts on astrology and what works for me, not realizing in doing so I was clarifying and redefining how much astrology meant to me. In the mean time I was hoping that someone else would benefit from my thoughts, and maybe the light bulb would go on within them, and make something clear that wasn’t before. My hope was to be a beacon to even just one person, as all the astrologers before me were beacons to me. I had just seen the movie “Pay it forward” and it made a deep impression on me, that I needed to give more of myself to others, and what a better way in reaching people who might be interesting in hearing what I had to say. Many years ago in New York City I had an astrological reading by Mr. Zoltan Mason (practitioner of the Morin method), which in hindsight I realized I wasn’t ready for, and did not received the benefit I should have. I was a struggling fashion student hoping to hear about my big career on the runways, and instead heard about studying astrology, the spiritual and occult path, and the obstacles I would be facing in the future. He wanted me to read a theosophical book on the etheric body, which I now deeply regret, but the Universe is always forgiving and has given me another chance to fulfill my destiny. The strange coincidence or maybe destiny is that about three years ago, I again ran across Jean-Baptiste Morin, and have become in the modern English a groupie of his works. The cycle has come to a full circle, where I should have been many years ago. The old adage “better late then never” is worth its’ weight in gold as I am still given the chance to fulfill my purpose and calling in this life. Although I still am a modern astrologer I have incorporated many traditional aspects in my own form of astrology that works for me. My Mercury in Gemini is in the ninth house sextile Pluto in the eleventh house, and Jupiter in Cancer is on the eleventh house cusp sextile the Sun on the cusp of the ninth house. As you can see I had no fighting chance to do what I thought I wanted to do, but to fulfill my destiny because this is what I really love to do. All my life with Jupiter on the eleventh I would be letting all my friends know of anything new that worked for me. With Jupiter and Mercury I was always able to stand back from any problem and to look at all sides of the situation, and then to decide what direction one should take, not necessarily always deciding on the right one. All through high school and life I have been able to listen to my friend’s problems and to show another side to the situation. This I am hoping I am accomplishing with this blog, is to see another side and opinion to what astrology can offer in this hectic and fast pace life we are leading today. Especially with the downturn and the major hard aspects in the coming years, a need to see positive approaches and attitudes is necessary in the coming years, to fulfill our dreams. My approach to astrology is strongly influenced by my interest in New Thought, self help, tarot, numerology, spiritual and occult thoughts, and Feng Shui. So I hope you visit often and if something here, turns on your light bulb to a better life, be thankful for the help you receive from your natal Jupiter and Mercury and become your own messenger to pass it forward to help someone else in life. Also remember the saying “better late then never” and to nourish and pass on the good to others what you have learnt and what works for you. The truth is when we serve others we are really benefiting everyone, including ourselves.